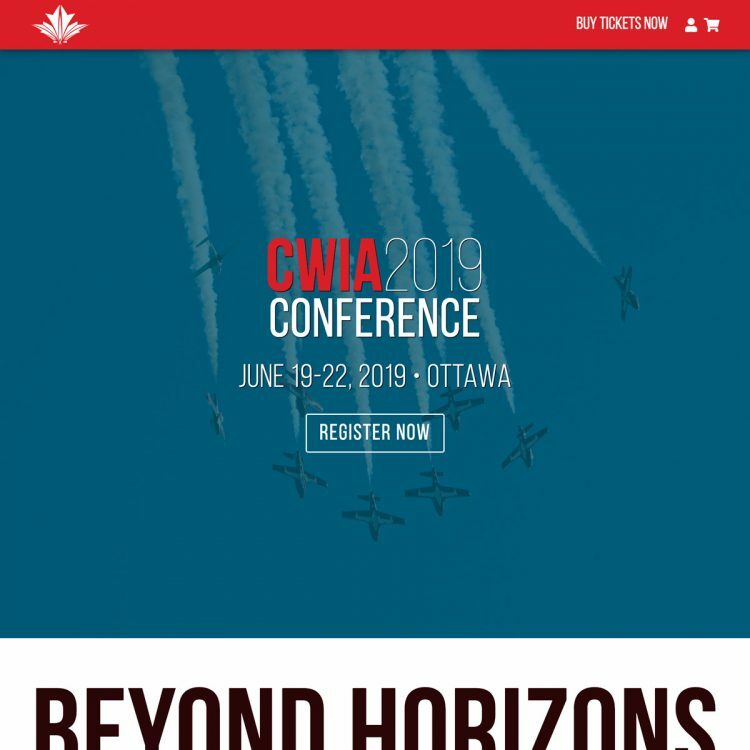 Canadian Women in Aviation (CWIA) is a collective of women who work in Canadian aviation and believe that diverse and inclusive industries are more innovative, competitive and profitable. They hold a biennial conference designed for the personal and professional development of the CWIA community focused on providing a forum for women to network, discuss aviation best practices, and plan for individual and industry improvement. For previous conferences, CWIA was using a third-party event registration and ticketing service. For the 2019 conference, they wanted to implement self-hosted conference registration, ticketing, and payment on their own website. The website would also receive a design renovation focused on ease of information delivery and creating more visual interest. To that end, the website transitioned from a pre-built WordPress theme to a custom theme featuring strong use of custom post types and fields, plenty of engaging images, and a bright, modern design with lots of vibrant colour.